Empower your company to be flexible and more responsive to changing demands. Understand how others use digital manufacturing and innovative technologies to reduce time-to market. Use interoperability to increases operational excellence. Hear how manufacturers use industry standards for effective implementations. See how DOM Interoperability enables quick access to critical information and drives significant improvements in plant performance. Learn how a collaborative asset management strategy will reduce costs and optimize performance. See how to build a synchronized supply chain to facilitate a seamless flow of information. Discover how leading companies develop a common enterprise vision. Get tips on building consensus to create a corporate-wide strategy. Network with top industry executives. Forum Topics will be addressed through presentations by industry experts. They will highlight the strategies, insights, and best practices you need to ensure your success. Each session will also have a panel discussion where presenters will answer your specific questions. 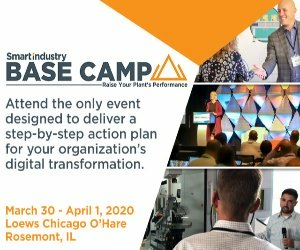 Special sessions will be offered by leading manufacturers and logistics providers who will discuss how they are addressing the challenges of synchronizing manufacturing facilities with their supply chains. Cases will address the use of synchronizing techniques like strategic partnerships, interoperability, collaborative planning, scheduling, visibility tools, and technologies like RFID. Innovations Showcase is where executives will have an opportunity to assess the potential for emerging applications in production management, interoperability, digital manufacturing, process improvement, asset management, supply chain synchronization, and more. Exhibits will have application scenarios for attendees to see how emerging technologies are applied to help solve issues in the manufacturing industries.